Do you know what SEO is all about? 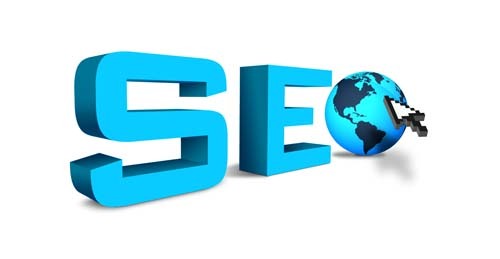 SEO is known as search engine optimization, it is a fundamental online solution. If you use it properly, you can rank well in search engine result pages (SERPs) and obtain high traffic. Now, if you have been managing your site for years, this topic is not new to you. In fact, you are probably an expert on it already. But if you are not too familiar with the ins and outs of the Web, you can obtain valuable insight here. Do you know that website design is a big consideration in optimization and page ranking? Yes, that is right. Other than well-optimized content, your site’s layout and appearance count a lot. Therefore, you have to take into account any factor relating to SEO. With that said, do not forget the following optimization techniques when developing or improving your website. 2. Separate styles, java script, client-side scripting, and data as external file. 3. Put the main content close to the page’s top part starting with. 4. Create a sitemap containing URLs directing to all the pages on your website, so it will be easy for your users to find the information they need. 5. Incorporate each webpage with bread crumbs to help the readers navigate to previous pages with ease. 6. Use text format for the footer and Header links instead of placing images. Moreover, keep from using java script when adding links. 7. Assign each webpage with anchor texts or hyperlinks to make navigation (for the readers) and indexing (for search engines) easy. 8. Make sure your website pages adhere to W3C accessibility standards to add value. 9. Lessen the use of tables, especially the nested type. 10. Create dynamic RSS feeds for your site’s content. 11. Assign custom 404 page error for broken links. 12. Include and edit meta and title tags as part of your meta data setup, especially if you are using a content management system (CMS). 13. Come up with search engine-friendly links by using relevant terms and separating each word with a hyphen or underscore. 14. Choose the right domain name. It must not consist of numbers and over three words. Instead, it should have a keyword relevant to your niche. 15. Only use systematized and well-managed semantic codes, which are readable and easy to crawl. 16. Post readable content with a catchy heading and a body broken down into paragraphs with subheadings, numbers, and bullets. Most importantly, the information has to be fresh, unique, interesting, and informative. 17. Place images to make the webpage more appealing. While doing this, take search engine ranking into account by using relevant keywords (when renaming the photos) and assigning title and alt tags. 18. Keep from stuffing each webpage with too much keywords and phrases just to rank in SERPs. When you do this, you will likely end in the bottom pages rather than on the top. 19. Minimize the use of flash images. Or, better yet, avoid them altogether since search engines cannot detect them. 20. Get links from other sites (especially those with high credibility and authority) to make your website look credible to search engines too. 21. Add videos to attract more visitors. But since Web spiders cannot read videos, you can integrate SEO methods by making a video sitemap and listing into Google Webmaster Central. You can also create an HTML script using alt tags and relevant terms. 22. Connect to social media sites using “clickable” buttons. 23. Make your website compatible with smartphone browsers, so your target audience can find you through their mobile phone (given the fact that many people these days prefer to access the Internet through their handheld gadgets). 24. Update your content to keep up with the Web’s constant changes and most users’ preference for trends. 25. Watch out for any modification to current SEO techniques. This way, you have an idea which methods are outdated and which ones are trending. As a result, you have an edge against other website owners (especially those who have less knowledge about maintaining their site). Looking into these tips, you may think that search engine optimization and Web design are complicated fields. Truthfully, it can be. But, that is, if you do not have adequate learning. If you educate yourself and keep up with the changes, getting high ranking in SERPs won’t be difficult. Emma Tomlinson is the Head of Retail at Smart Traffic, an affordable SEO company in the UK offering services to many countries across the globe. Great article. Need these tipps 4 a current project. Thanx 4 sharing. Best tipp: content is king. So i’ll write new content.